These mounds are intimately associated with each other. On the Patrick Map, Mound 30 is an oblong platform mound with the long axis east-west; Mound 31 is a rectangular platform with the long axis north-south. Mound 30 extends eastward from the north half of the Eastside of Mound 31. It appears to be somewhat smaller than Mound 31. Unfortunately, Mound 30 was completely obliterated by construction of Grandpa’s Department Store in the 1960s, and no contemporary size or exact grid location can be documented. Estimates of height from earlier map s vary from 20 feet (6.1 meters) (McAdams 1882) to 5 feet (1.5 meters) (Peterson-McAdams 1906). The latter estimate coincides with Moorehead’s observations in 1921 (Moorehead 1922), when he describes Mound 30 as an extensive elevation on the east side of Mound 31 not over 5 feet in height. Unlike Patrick, Moorehead describes this mound as square, 180 feet (54.9 meters) on each side. Given the above figures, it is probable that Mound 30 was reduced in height during the early 1900s since a 1903 photo (by Baum) seems to show a road east of Mound 31 and Smith’s Inn. This north-south road might account for the separation between Mounds 30 and 31 that both McAdams (1882) and Patrick illustrated. Moorehead thought Mound 30 was composed of earth taken from a village habitation area. On October 3, 1921, Moorehead began a long trench at the extreme eastern end of Mound 30 into Mound 31. He wanted to excavate a terrace, or apron, leading up to one of the larger mo unds. Moorehead’s trench extended due west 55 feet (16.8 meters). At 35 feet (10.7 meters) west he sunk a test pit 10 feet, 5 inches (3.2 meters) deep and found disturbed earth, charcoal, and small pottery sherds at 7 feet, 3 inches (2.2 meters). He dug another pit at 55 feet and found the disturbed area extended to 7 feet, 8 inches (2.3 meters). During the excavation he found animal bones, broken artifacts, and pottery. He also discovered lumps of burnt clay containing impressions of reeds or rushes, probably from the building of aboriginal houses in the area. 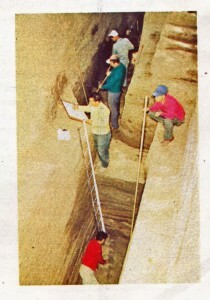 Nearer the base of Mound 31, he excavated, by means of a horse team and scraper, a pit 30 feet (9.1 meters) square and 8 feet (2.4 meters) deep. He noted a hard, burned layer of floor beneath the base line similar to the formation noted in the hand-dug trench. 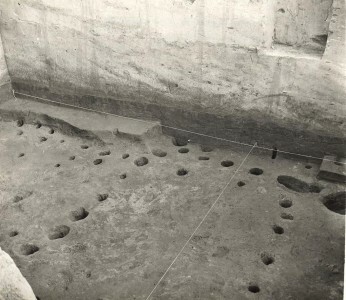 Moorehead, on the basis of his excavations, was unable to determine whether Mound 31 was a burial structure or merely a foundation for houses or ceremonial lodges. 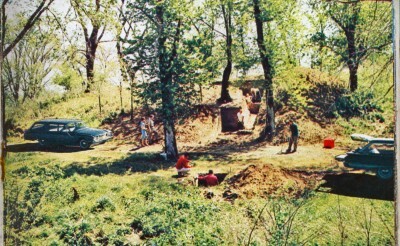 A photo taken around l900 (Baum l903) indicates that Mound 31 was covered with a grove of trees and, therefore, was relatively untouched for a nurnber of years. This is borne out by both the McAdams’ and Moorehead’s heights, which coincide rather closely. In 1915, Smith’s Inn was located directly east about a quarter of a mile from Monks Mound. In Baum’s photograph of 1903, Smith’s Inn appears as a large, two-story building facing south towards the highway. Behind the inn is a grove of trees and on the surface of the mounds a picnic ground and grandstand. Later the inn became the Mounds Club, a large casino and night spot. 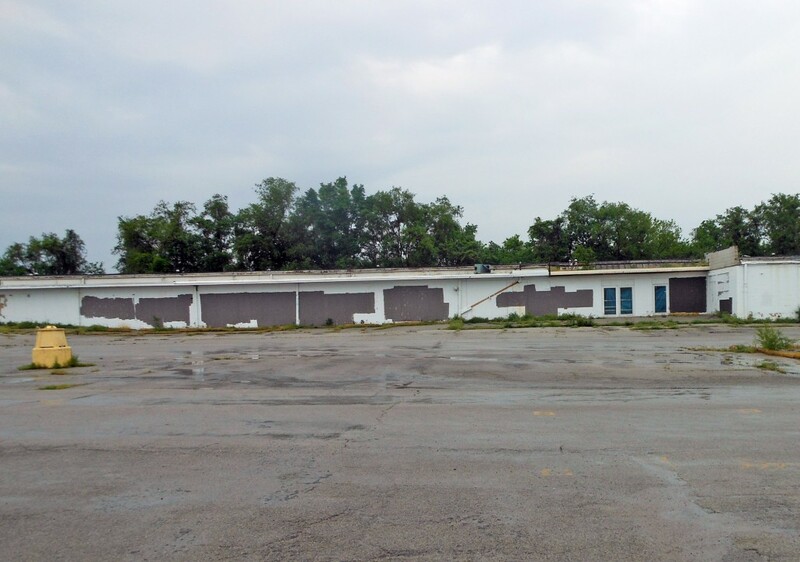 The casino was later occupied by a store, and in the early 1960s, Mound 31 was leve led and Grandpa’s Store built. 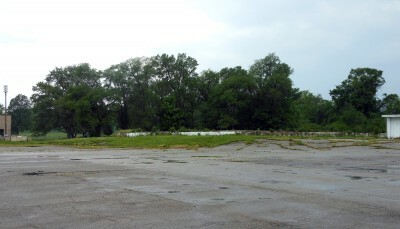 Grandpa’s Store and parking lot now occupy the sites of Mound 31 and Mound 30. As part of the work of salvage archaeology before the construction of Grandpa’s Store, Joseph Caldwell, for the Illinois State Museum, conducted a stratigraphic excavation into Mound 31. It revealed a rather complete stratigraphic sequence of the various phases of Cahokia development. 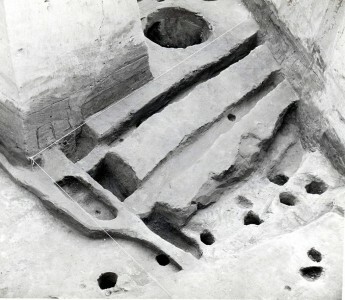 The material from these excavations is currently in the Illinois State Museum. It should be noted that Moorehead (1923: 47) thought Mound 30 really a part of Mound 31. All of the earlier maps, however, treat them individually. He perhaps based his interpretation on the effects of erosion, cultivation, and use attendant with the casino and farm buildings.